Rolf Harris is a musician, actor, painter, and television personality best known for his song Tie Me Kangaroo Down, Sport. He was also known for presenting the show Rolf's Cartoon Club. His career in the entertainment industry came to a halt after he was jailed for sexual offences in 2014. His first television work was on the BBC's children show Jigsaw in 1954. He later went on to appear on the BBC Television program Whirligig. By 1955, he was working with both the BBC and the British ITV network, making him the only entertainer to work with both networks. He married sculptress Alwen Hughes in 1958 and had a child with her. He was inducted into the ARIA Hall of Fame in 2008. 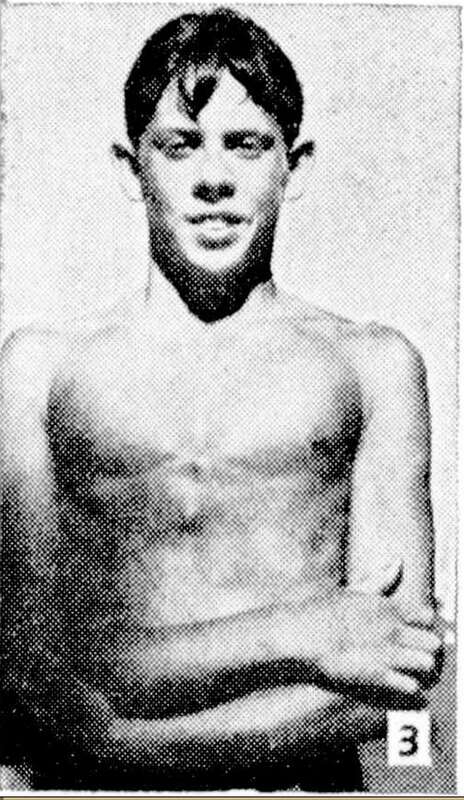 Rolf Harris, at 14, having swum the fastest time (from scratch) in the “Swim through Bassendean” handicap race, held at Bassendean, West Australia, Saturday, 27 January 1945.On Saturday, 27 January 1945, Harris swam in the main race of the day at a swimming competition held to raise funds for the Bassendean Child Development Centre. He came a close second in the feature race, a handicap race, the “Swim through Bassendean”. Swimming from scratch, he swam the fastest time. Rolf Harris is a famous Australian musician, singer-songwriter, composer, painter and television personality, who was born on March 30, 1930. As a person born on this date, Rolf Harris is listed in our database as the 6th most popular celebrity for the day (March 30) and the 10th most popular for the year (1930). People born on March 30 fall under the Zodiac sign of Aries, the Ram. Rolf Harris is the 159th most popular Aries. Aside from information specific to Rolf Harris' birthday, Rolf Harris is the 21st most famous Australian. In general, Rolf Harris ranks as the 1672nd most popular famous person, and the 8th most popular musician of all time. “The Famous Birthdays” catalogs over 25,000 famous people, everyone from actors to singers to scientists to serial killers and more. If you're curious to see who was born on your birthday, you can use our database to find out who, what, where, when and why. You can search by birthday, birthplace, claim to fame or any other information by typing in the search box, or simply browse our site by selecting the month, the day, the horoscope, or any other clickable option.